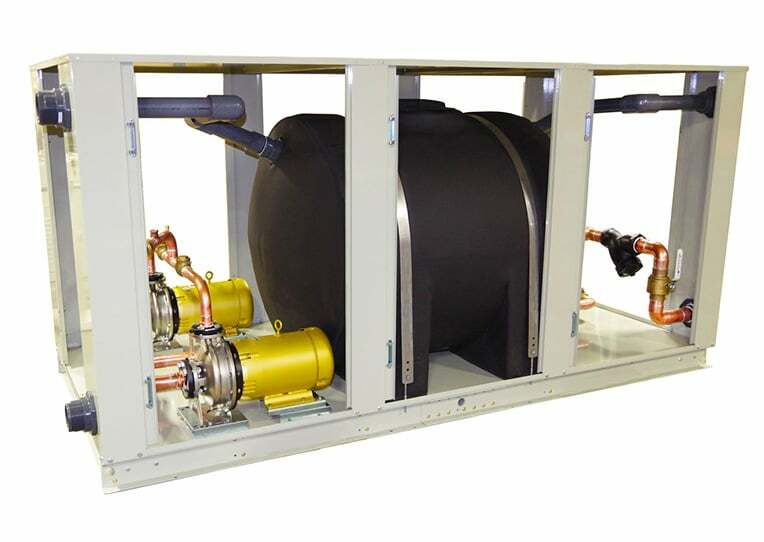 Tank & Pump Packages for Process Chillers | Legacy Chiller Systems, Inc.
Legacy’s model RRT (plastic) and RST (stainless steel) outdoor rated external tank / pump packages range in capacity from 30 to 600 U.S. Gallons. 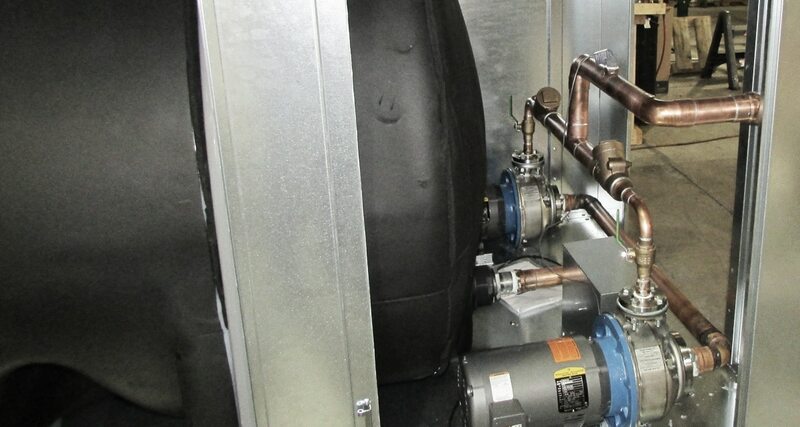 These systems are ideal for use with Legacy’s PZA and PZW package process chillers as well as a varity of custom applications that require additional system fluid volume. Commercial and industrial process chiller applications such as air conditioning, laser, swimming pool, oil, dry cleaning machine, aquariums, injection molding, jacket cooling, low temperature process, plating process, water-cooled condenser, welding machine, printing processing and computer room air conditioning. Food and beverage industry applications such as bakery processing, drinking water fountain, fruit and vegetable washing and processing, brewery, batch cooling, winery and ice machine pre-cool. Tank pressure relief valve on pressure rated “SS” models only. denotes optional items on most competing brands.